A strip of paint that runs through Rainmaker art studio in Makanda, Illinois is meant to mark the line of totality for the upcoming eclipse. He estimates that at least 2,000 vehicles can fit onto the 40 acres of somewhat-level ground he’s mowing for the occasion — or maybe 3,000, if people park in lines and not willy-nilly all over the place. “I’m sure some people might laugh if there’s 20 people parked out here, and that’s all we get,’’ he said and grinned a little at the thought of what that might look like. But he’s gotten phone calls from as far away as Minnesota, and he’s preparing for a crowd. Wedged between two interstates — I-57 to the west and I-24 to the east — Goreville touts its accessibility. The village of just over 1,000 is in Johnson County, about 130 miles southeast of St. Louis, at the edge of the Shawnee National Forest and Ferne Clyffe State Park. Listen to residents of Goreville, Ill., discuss the impact of the eclipse on their community. More than 30,000 motorists zoom by on the two interstates every day. And more than 4,500 pass through Goreville on Illinois 37, some of them on their way to a nearby campground or winery. The Goreville City Park, seen from the Countree Peddler antique store, will host a University of Illinois educational program on the day of the eclipse. But hundreds — perhaps thousands — will make Goreville their destination next Monday. And when the moon totally blocks out the sun at 1:20 p.m., they’ll earn some astronomical bragging rights: Folks around these parts will observe lengthier totality than the other 14 million or so people watching the total eclipse in 14 states. That’s because Goreville, and tiny Makanda to the northwest, are closest to the eclipse’s longest point of duration: 2 minutes, 40 seconds. The distinction of being in the shadow of the moon for the longest time has brought national attention to these two dots on the totality map — along with reporters, scientists, and eclipse-chasers. 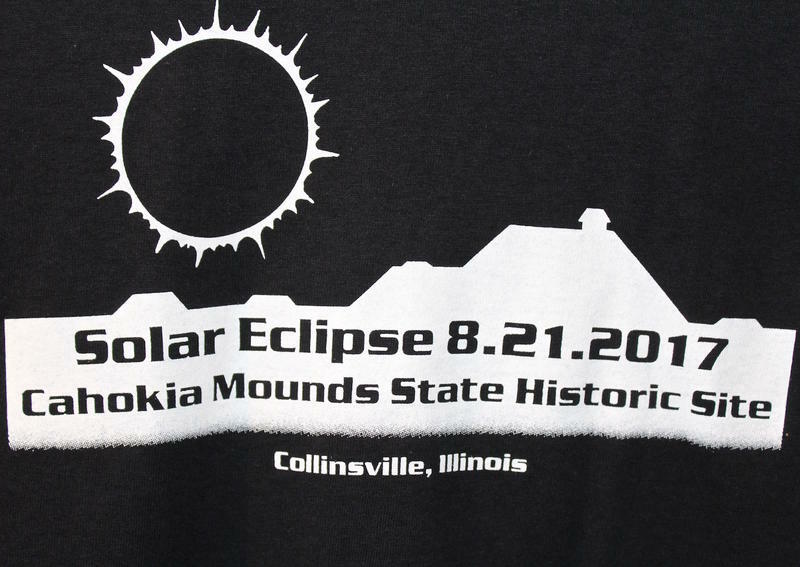 Gas stations and supermarkets in Goreville are selling eclipse t-shirts and viewing glasses. NASA has chosen Carbondale for its Eclipse Day event, which will be held at Southern Illinois University’s Saluki Stadium. Totality there will be just a few blinks shorter than in Goreville. But the University of Illinois is setting up shop in Goreville. More than 30 professional astronomers will offer an educational program in the village park, and hundreds of alumni are expected to participate. Kirby said that organizers contacted him about providing parking on his farmland, which is just a half-mile outside of town. A shuttle will take people into Goreville, but Kirby says he doesn’t mind if people just want to watch the eclipse from his fields. There is no electricity or running water, but he’s rented a few port-a-potties. Some businesses around town are getting into the spirit, selling eclipse glasses and T-shirts. At Acee's Food and Fuel, one of two gas stations in town, clerk Ashley Taylor-Thorne said they’ve been selling out of eclipse glasses as quickly as the shipments arrive. Police have told the station’s staff to expect a large crowd and to keep customers moving. At the Countree Peddler, an antique mall across from the village park, owner Lisa Hudson said she plans to open on Eclipse Day, even though her business is usually closed on Mondays. Her husband is barbecuing, and they’ll be selling pulled pork sandwiches and hot dogs — and letting people park on their lot for $20. Hudson said that some residents are wary because they don’t know what to expect and are concerned about being able to get around town that day. “I hope everybody will pick up after themselves and be respectful of other people’s property,’’ she added. Goreville, Illinois, has a population of 1,049. At Village Hall, Aggie Paul was patiently explaining to a caller about parking for eclipse-watchers. Paul, who’s served as village clerk for 15 years, said the calls have been coming for several weeks. Goreville’s population is currently 1,049, said Paul. But when it comes to the eclipse, there’s no way to know how crowded it will be — how many people will be waiting in line at the town’s one grocery store or two gas stations. “We don’t know how many people are coming,’’ Paul said, echoing the common refrain in Goreville. Police Chief Eddie Holland said the village board has been holding meetings on eclipse preparation. There are plans to disperse emergency vehicles at various locations, so they won’t be boxed in by traffic should an emergency arise. And residential streets in town will be blocked off to keep pedestrians safe and traffic flowing on the main highway through town. He predicts that the worst traffic congestion will come after totality ends — when everyone decides to leave at the same time. “With the interstates, we have no idea because if everybody tries to get on at one time it’s going to be amazing,” Holland said. The Illinois State Police has been meeting with local police departments and is warning motorists not to stop on the interstates to watch the eclipse. 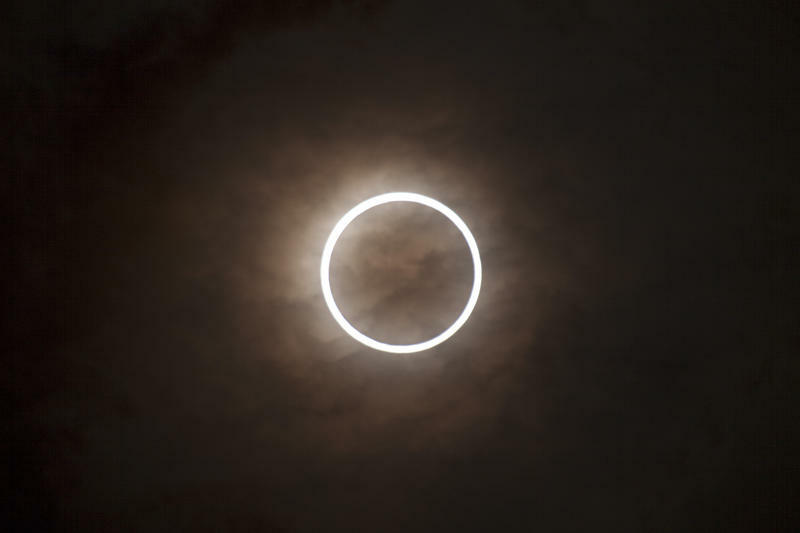 Residents are being advised to prepare for the eclipse, as if it were an approaching snowstorm: Stock up on groceries and buy gas before Aug. 21. Goreville is more accustomed to handling large crowds than many villages its size, the chief said. The annual Fourth of July fireworks display, which is one of the largest in Southern Illinois, draws thousands of spectators. But he expects the eclipse to be — bigger. Holland points out that Goreville will have a second shot at dealing with an eclipse in seven years. On April 8, 2024, this swath of Southern Illinois will once again be in the path of totality. “Anything we screw up on this one, we’ll hopefully fix in seven years and be ready for it,’’ he said. Leslie Looney, professor of astronomy at the University of Illinois, says the fact that Southern Illinois will be in the path of another total eclipse in seven years is pretty incredible, considering the state hasn’t seen one in 148 years. Looney said his astronomy department chose Goreville for its Eclipse Day programs because of the village’s proximity to the point of longest duration — and because it has emergency services and experience dealing with Fourth of July crowds. The university’s location in Champaign, about 200 miles north of Goreville on I-57, is outside the path of totality. The experience of a partial eclipse doesn’t measure up because you won’t see the sun’s corona, Looney said with the enthusiasm of someone who has seen a total eclipse before — which he has. Looney noted that most eclipse-chasers are going to Wyoming, even though totality there will be shorter than in Southern Illinois, because there’s a higher likelihood of clear skies in that western state. But if it’s raining on Aug. 21, or even if the skies are thickly overcast, it won’t matter how long totality is. “You just need to see the sun,” he said. Lowell Solterman looks down at Zeus while standing outside Rainmaker art studio in Makanda, Illinois. If some people in Goreville seem apprehensive about the eclipse, the opposite is true in Makanda, where an enclave of artists have embraced the celestial event and all who want to celebrate it. Not only is Makanda just a few miles from the point of longest duration, but the community is right on the centerline of the 70-mile wide path of totality, if there were one — which there is in Makanda because artist Dave Dardis painted one. It runs from the railroad tracks, across the road and through his Rainmaker Art Studio. The orange line has drawn lots of media attention and earned Dardis, 69, an appearance on CBS Sunday Morning. People who come to Makanda like to stand on the line and take photos, though on a recent afternoon, they had to step over a large white dog named Zeus who was sleeping with his head on totality. When the 2024 eclipse comes, the line of totality will be several miles from Makanda, but that won’t matter to Dardis. Dave Dardis stands in his sculpture garden, located behind his art studio in Makanda, Illinois. About 450 people live in the community, which is just south of Carbondale on the way to Giant City State Park. The business district is “the boardwalk,’’ which is actually a small cluster of shops, with a hippie flavor. There’s one restaurant — the Eclipse Café, which opened a year ago to promote the eclipse — plus a little general store and an ice cream shop. Dardis has been in Makanda for 45 years, making his unique jewelry and sculptures from bronze and copper. Dardis said he learned about Makanda’s place in eclipse history from a scientist who showed up on his doorstep one day. He was attending a symposium at SIU-Carbondale. No one has any idea how many people will come to Makanda for totality, said Jeremy Schumacher who was selling eclipse merchandise and answering questions at the Eclipse Café. Visitor estimates range from several hundred to 3,000, he said. And parking will likely be an issue. Even with the addition of temporary parking, there are only enough spaces for about 300 vehicles. Note: The story has been updated to note that Goreville is in Johnson County, Illinois. The county was incorrectly identified in the original version of the story.